Earlier this month we held the FUTURE Workplaces Summit in Prague, Czech Republic. The summit gathered business leaders, influencers and thinkers to discuss the latest workplace innovations. Furthermore, discussing how to improve the preparation for future workplaces in regards to creating an enjoyable, productive, flexible and human-driven workplace environment. Johnny Dunford is the Global Corporate Solutions & Senior Director at BNP Paribas Real Estate was one of our expert speakers who discussed the ‘Productivity in the Workplace – How to Add Value’ in regards to how to reduce costs, be more efficient with the use of space and is the traditional cost focused approach really the right way to go. 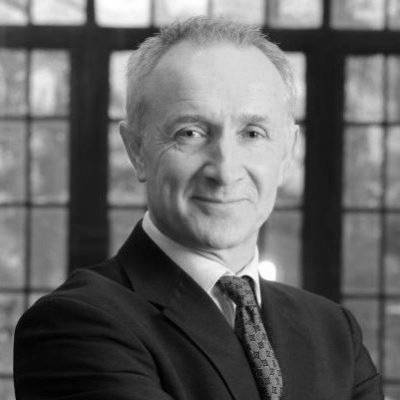 We briefly interviewed Johnny Dunford on how he found the first FUTURE Workplace Summit. What did you think of the event and what were the main highlights for you? Really good, I particularly like Gorge Muir and Ron Bakker’s presentations and the opportunity to think about what the future looks like for the property industry. Can you briefly elaborate on the Lmi that you presented at the summit? I presented on the Leesman index and the way we use it as a tool to measure workplace effectiveness. We have found that occupiers do not have an easy to understand system for measuring how well the workplace supports the activities that are going on within the workplace. Lessman index provides an independent system that provides a tool for a comparison across different buildings, locations and industries. Unlike internal surveys or staff satisfaction measures, Leesman provides a benchmark against a data set of over 200,000 responses. BNP Paribas Real Estate use it to shape the way we develop portfolio strategy, we have a unique way of developing a SWOT analysis that is easy to interpret and popular occupiers. If you were to predict which issues will be the most prominent ones in regards to workplace transformation 10 years from now, what would those be? Mobility – staff can work fro anywhere but the challenge is that the effective workplace must provide a very engaging environment from which staff can be productive. Productivity – at present we do not measure productivity and output, businesses are increasingly required to be efficient – we must have systems for measuring output and we are working on this. Connectivity – We are already connected all the time but the new development will be that our working environment will be able to interpret our needs and wants in order to create environments that are effective for our individuals needs. Innovation in the workplace is critical to advancing how work is successfully completed and how the people, places, and processes, connected with technology, can be woven together to create a high-functioning and innovative organization. This year’s FUTURE Workplaces Summit successfully covered these areas whilst creating an environment, which allowed networking opportunities with key leaders in the industry. The summit was a true success and we look forward to hosting the 2nd Future Workplaces Summit next year. For more information about our summits or to raise your interest in next year’s summit.